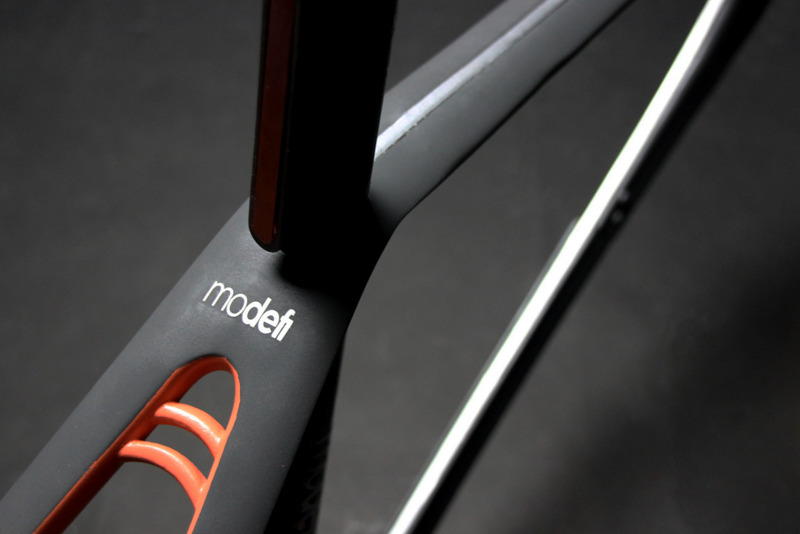 Modefi is a bike designed by the user. Bike commuters share a common purpose, but not a singular way of use. Commuters modify their bike frame to fit the their diverse needs; we wanted to embrace that. Individuality and the power of choice, are key in today's marketplace. Users desire to have complete control over the most important aspects of the products they purchase. 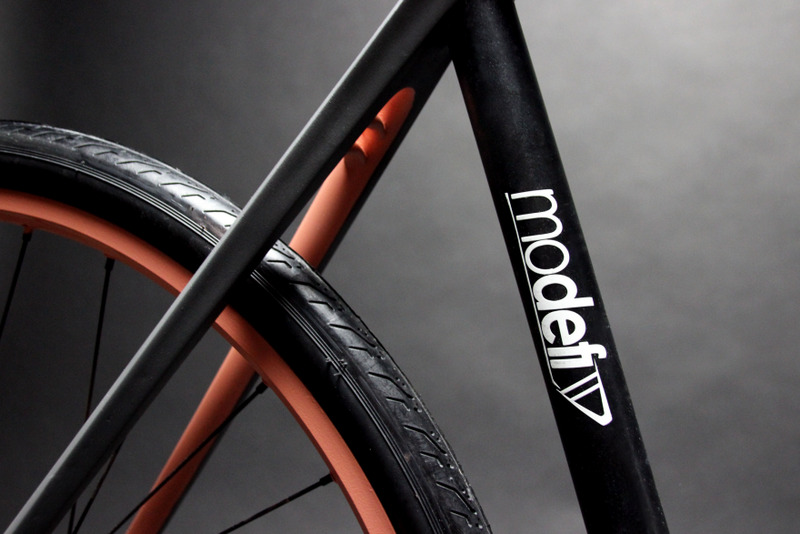 With these features as a main focus, Modefi allows users to create their own bicycle tailored to their specific lifestyle. 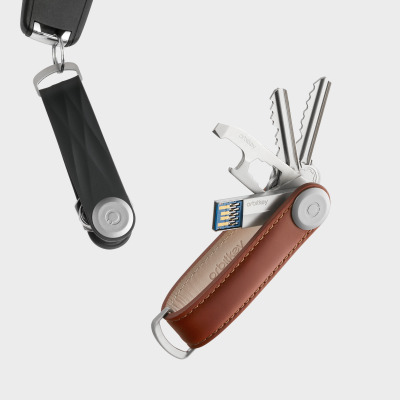 Users choose from a range of storage options and aesthetic modifications, creating a unique bike to fit their needs. 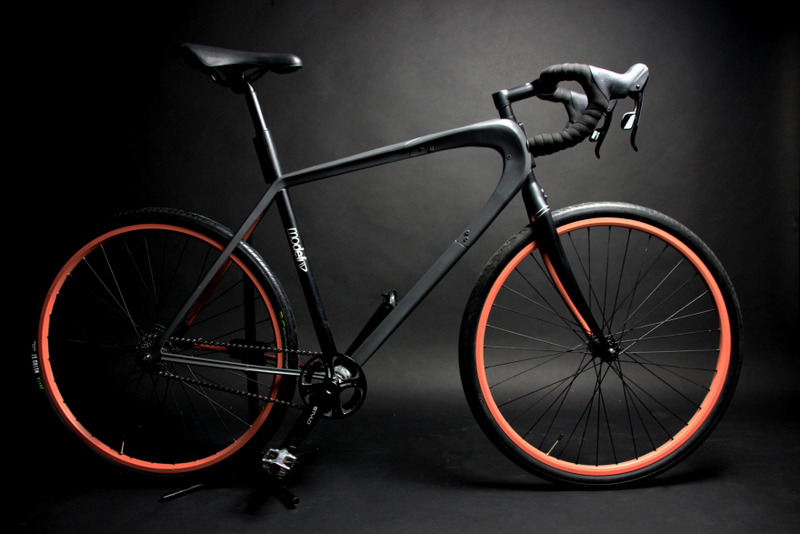 Recent 3D printing and manufacturing technology advancements make this bike possible. 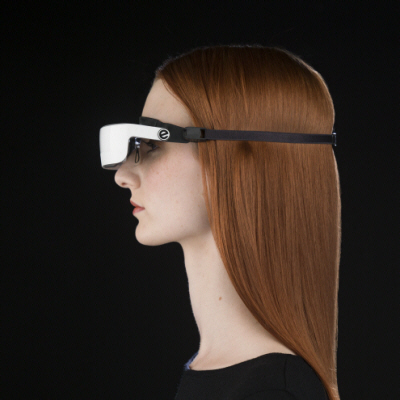 It introduces a revolutionary way of looking at personalized transportation systems that can grow and transform with you and your lifestyle. 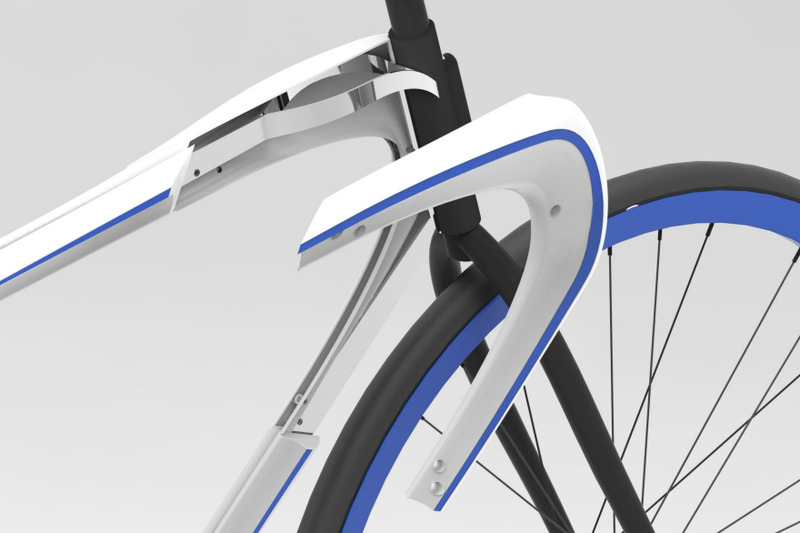 Our goal for the project was to design a next-generation bicycle for commuting or other work applications. After weeks of observations and background research, it became clear that not one single biker uses his or her bike the same way. Bike commuters share a common purpose, but not a singular way of use. One size does not fit all. The challenge became not only to understand the component makeup of a bicycle but to understand the bicycle's role within its larger context. The main question that arose from this was "How can we improve the interactions among cyclists and those they share the road with?" This led to the recognition of our main challenge : to create a bike that instills confidence in the user while riding. One major resource that we had at hand during this project was a newly developed filament of carbon-fiber impregnated plastic for 3d printing. Knowing that this was available for our use, we considered what the value of 3d printing would be within the context of the problem we were facing. It was important to us, from the start, to align our design within the realm of new material capabilities and innovations. 3d printing as a medium of manufacturing allows users to create on the spot adjustments both quickly and relatively inexpensively. 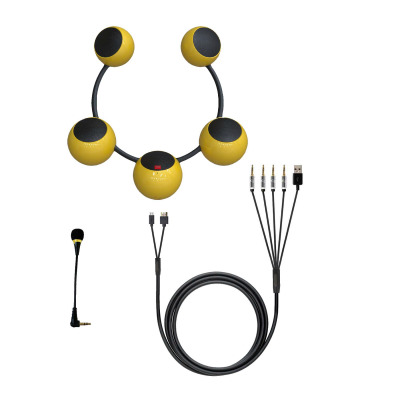 It allows a level of customization that traditional manufacturing methods cannot support due to high tooling costs. Within the realm of our design challenge, 3d printing gave us the opportunity to create a bike that could be specifically tailored for the user. Our main research insight was that users modify their bike frame to fit the their commuting. This is not something that we can prevent. This became the driving force behind our design. Our bike is broken up into component frame pieces that can be swapped out easily for user frame adjustments. These adjustments range from small storage options to aesthetic form changes. 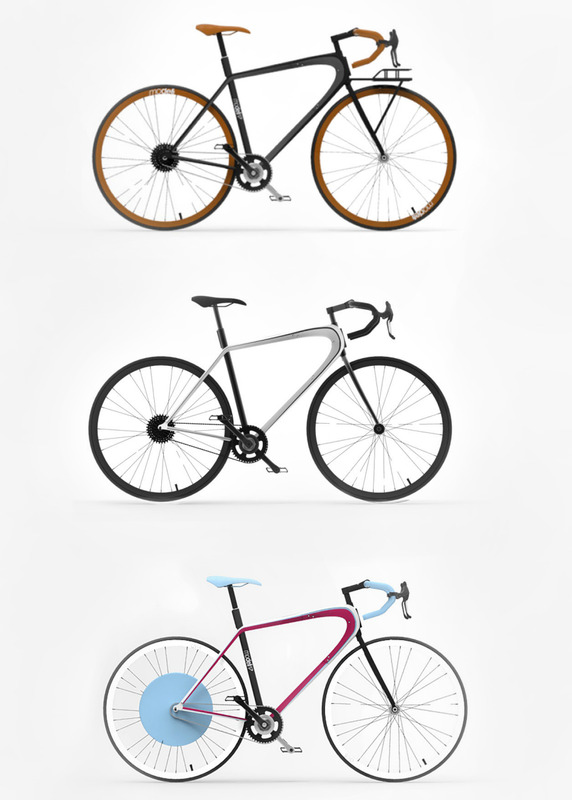 It combines the options offered in many different bikes into one single frame. Through 3d printing, we are able to instill confidence in our users by letting them dictate not only the functional storage components of the bike, but also aesthetic modifications allowing the user to change the bike based on their needs and preferences over time. You have a cassette yet no derailleur hanger. Vertical dropouts yet no chain tensioner. A modular storage area (for what i don't know) at the head tube, the place where structure is most critical. No means to attach brakes. No fender eyelets or other means to attach fenders. No rack eyelets or other means to attach racks. Are you supposed to ride this bike or merely look at it? I don't get it. In all the images I see basically the same bike. All the changes on offer appear to be aesthetic and nothing about the function is changed. What people need in a commuter bike is comfort and convenience. Where are the fenders, the chain guard, the built in lighting and the adaptable carriers to allow you to haul your gear? Seems like a lot of hype and not much substance. I really like to encourage bike design exploration. I applaud them for going as far as they did in making a full size model. But wow... So they have a bike that can come in multiple colors and accepts a front rack/basket thing. That describes a ton of bikes out there... I don't see any innovation here. Also, in all their research, they didn't seem to speak with any bike mechanics, bike designers (*me* - get in touch if you need), and don't seem to have a basic understanding of how bikes work. This seems like armchair research. Get out there, talk to people and experience what you're trying to reinvent. É importante em um relacionamento você saber aonde se colocar para não ser traído aqui ensino como descobrir uma traição em alguns passos que você nunca vai esquecer mas se for um macho alfa que entende que ganhar uma mulher é muito mais do que você imagina então dificilmente vai precisar disso o que quero dizer é que para descobrir uma traição você pode usar algumas das características que ensino durante o curso pequeno e emprega-las de maneira diferente em um outro patamar para descobrir traições e muito mais Expert da Conquista e homens alfa não se permitem serem traidos você é muito melhor e o suficientemente bom para descobrir uma traição sem ser pego eu quero dizer que conquistar uma mulher vai alem do físico e ultrapassar isso vai de dar grande vantagem no psicológico feminino que muitos homens não tem ideia de como funciona. Would all design educators tell their students: "Please, we don't need any more bicycles!" The bicycle is incredibly hard to improve upon, and material and manufacturing advances have always been swooped upon by very quickly by the bicycle industry and cycling enthusiasts.